I am leaving for the CES in Las Vegas tomorrow…. feel free to visit my other blog to get the latest updates on the coolest and newest gadgets. Also, if you would like to sponsor me, please visit this LINK in return I will post to your site on every RGS CES post. I am going to be back on the 18th. 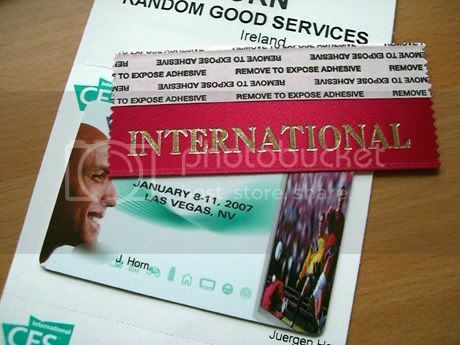 "Leaving for the CES in Vegas" was published on January 7th, 2007 and is listed in Blogs, Travel.